So I realized that I need to start keeping recipes here, if they are something that I’ve concocted. 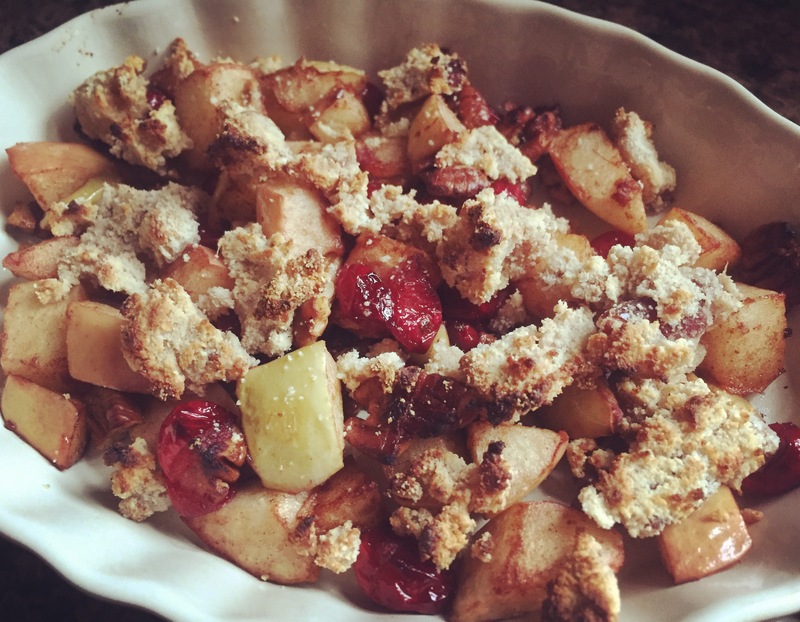 I love my fried apples recipe (found in SavingKitchens). 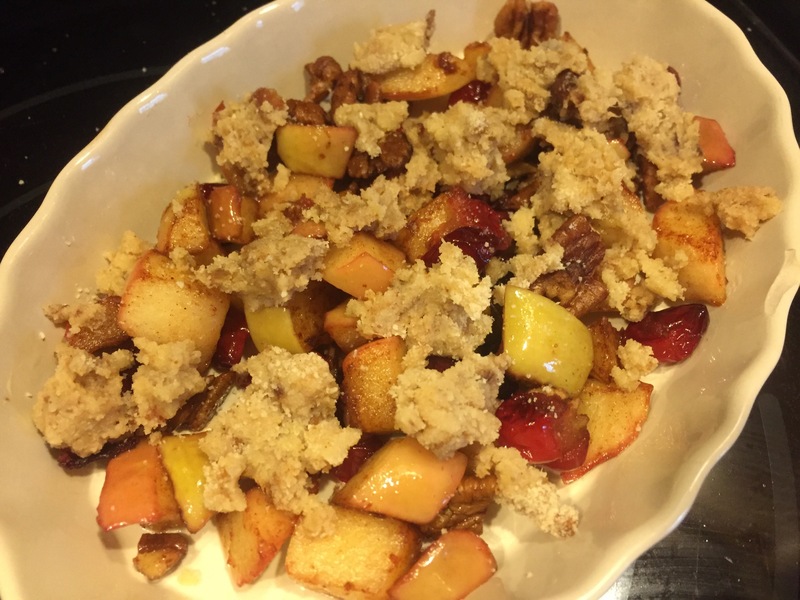 I wanted a crumbly topping that would be compliant, since I not only take people through a 30 Day Challenge, but I too join that club on occasion. So this happened in my kitchen. 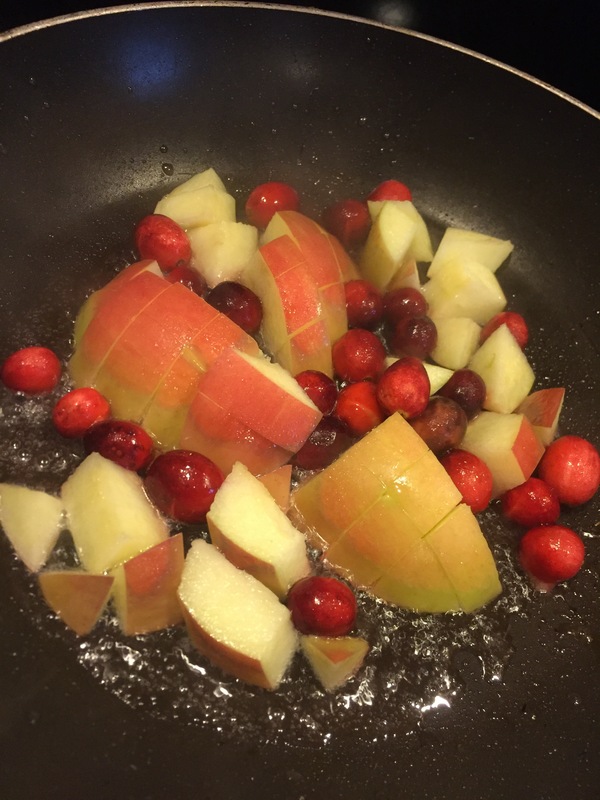 I fried an apple and a small handful of whole cranberries over medium high heat, in coconut oil. I added Pecan pieces and sprinkled with cinnamon. I made a thin date paste. 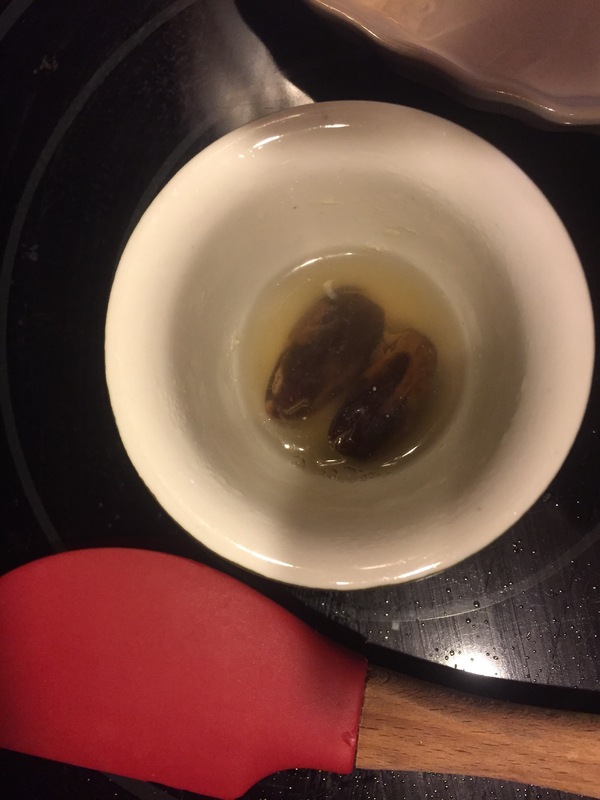 Two pitted dates, hanging out in hot water for a bit. (About 2:1 ratio, dates:water). Throw the dates and liquid in a small food processor and whirl until smooth. I then added a few tablespoons of almond flour, gently mixing until crumbly. 375 for about 5-7 minutes. Pretty tasty for just whipping it up. You might not recognize that. But now I’m playing that song in my head. I realize that I just posted a new blog post yesterday. This one is entirely different. As a business owner and health coach, I must always move forward. That means offering new services and a newer, improved way of doing things. Most have to do with listening to what you want. A lot has to do with what I feel led to do. When I’m led, and put it into action, it typically becomes something that is needed and has value. I just met with someone yesterday. I have leaned on her quite a bit for confirmation on many things that I do or have done. She is someone that has followed STK, been a cheerleader for STK and truly sees the passion in me as well as the huge value in my coaching. And I see a lot developing in her. She is a friend first but almost always refers to me as coach. Because she believes in what I stand for. She has utilized my coaching services, several times, within the past several months. She wants to be a lifer. It’s because of her and many like her, that I keep on keeping on in the direction that I am. She admits that without STK, she would struggle so much more in this area of life. I was discussing my new private group with her. It was created for much more than what people believe. First and foremost, coaching 1:1 is what I specialize in. It’s truly a must if you want to be educated and guided. She reminded me yesterday that there is nothing like it. Not even the new group. But she is grateful that I am creating services to help equip her and others for the long haul. I am in it for the long haul myself. I’m dragging many with me. I had a few visitors at my last STK Roundup (this is a very beneficial service, by the way). What a great reminder to me that what I’m doing IS important. And it DOES make a difference. This is such a movement. And I’m super proud of how hard I’ve worked at this and that people are reaping true benefits from it. It was my desire from the beginning. Something struck me as my friend was speaking to me yesterday. Here’s the deal about that. I have almost 600 people in that group. Only about 5% engage in my posts. I’m also in a health coach peer group and they discuss this often. It’s the quality not the quantity. The number doesn’t matter to me. I set the STK group up a few months before I made STK a legal entity. And I was very excited to share with whomever wanted to learn this new lifestyle. But I have also come to realize that I have learned so much in two years and have that and much more to offer people. Some need little but most need a lot. 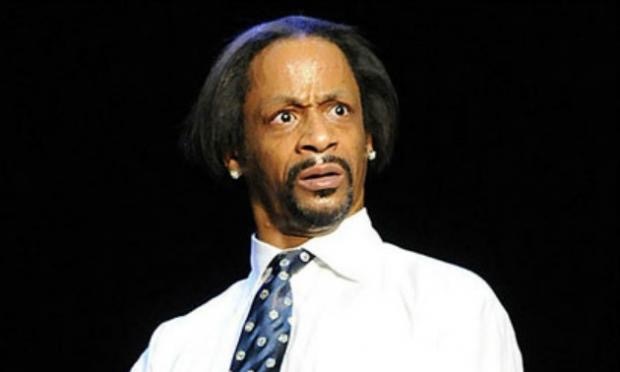 So, in creating my new STK Year End Challenge group, the people in there do not realize that they are my pilot group. I made it extremely affordable (practically gave it away), in comparison to my 1:1. I post daily, sometimes multiple times per day. The posts will increase in challenge as we progress. I have all sorts of people, in different areas of this lifestyle. Some feel on top of the world because they are in the honeymoon phase. I have seen requests for certain things or ways of doing this. I say all of this to say that big changes are coming in the new year. As we progress through these last several weeks of this year, I will be noting and creating. There will be several announcements in the last week or two of this year. But you may already see a small shift. I’m not as active in my original STK group, because I’m prioritizing where the need for me is. If you are wanting to continue with what I offer as a health coach, stay tuned. “Like” this post in my Facebook group, so that I know you are onboard. It’s truly my desire to be the best that I can be as the founder of STK, to in turn make you the best that you can be in this healthy lifestyle. The crisp, cooler fall temperatures tell us that the season has indeed changed. Football, pumpkins and soon to be turkey dinners turns very quickly in Santa, Christmas trees and cookie exchanges. And in a blink of an eye, it will all be over, the Christmas decorations will be boxed up and stored again and we will be ringing in 2017. Where and how do you want to be and feel come January 1? I want to be in my own healthy journey. And I need to be, as an extremely passionate health coach. Now is the best time to get a better understanding of this whole healthy lifestyle. Because it’s how great it makes you feel. Last Sunday, I had my parents and all of my kids and grands over for a taco fest. We also celebrated my mom’s birthday, so I bought a cheesecake and a pumpkin roll. It’s extremely rare that I make a meal that looks anything like pre fall 2014. For the most part, they all enjoy the recipes that I have exposed them to. Let me back up a bit and tell you how it felt to grocery shop the old way. It was strange. Very strange. And I hoped that I didn’t run into anyone. Ha! 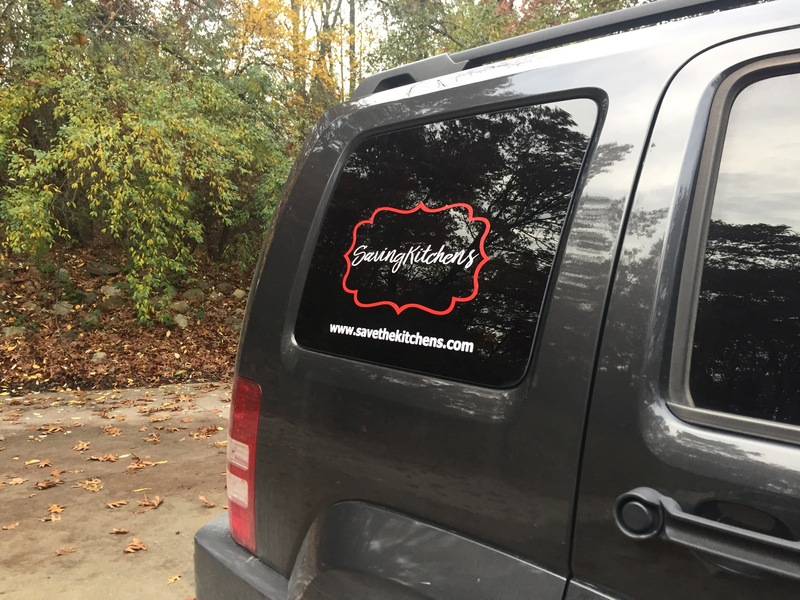 Picture me, pushing my cart out to my vehicle, with junk that I never buy and teach others not to buy, and as I load it into my Jeep while smiling as I admire my new SavingKitchens decal. In all seriousness, I hope that I showed my family that yes, I can occasionally cook that for them (while offering healthy choices along with it) but also that they will continue to see me thrive in my healthy lifestyle. What I remind myself is this. I have given myself such a gift. The gift of better health, that keeps on giving. I get up daily feeling thankful. 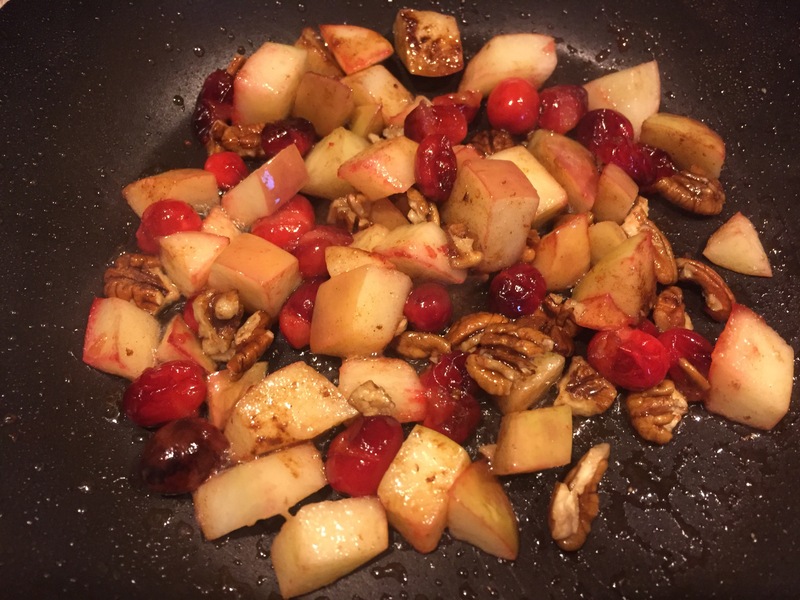 I have given my husband the gift of a healthy wife AND a healthy kitchen, which in turn keeps him healthy. I have given my kids the gift of a healthy mom and hopefully a great example. I have given my three grands the gift of a much healthier grandma. Little Joel was born Monday and I am by far, a healthier person now, than I was two years ago. At fifty pounds heavier, as I was with Jake and Lena, my two other grands, I was so unhealthy. Those are the reasons I continue. I recently created a Facebook group called “STK Year End Challenge”. I’m taking 27 people through this holiday season, equipping them to the best of my abilities, to win and come out ON TOP when the New Year rings in. It looks different for each of them, because all 27 are individuals, in different stages of their own healthy journey. But they decided to commit. And I applaude them! If you haven’t already, joining my #stkarmy is one of the best decisions you could make for yourself. Lord willing, we will be ringing in the New Year together. You can decide to get ahead of the game now. Chances are good that there will be a long line waiting at STK headquarters in January. I’ll leave you with this. 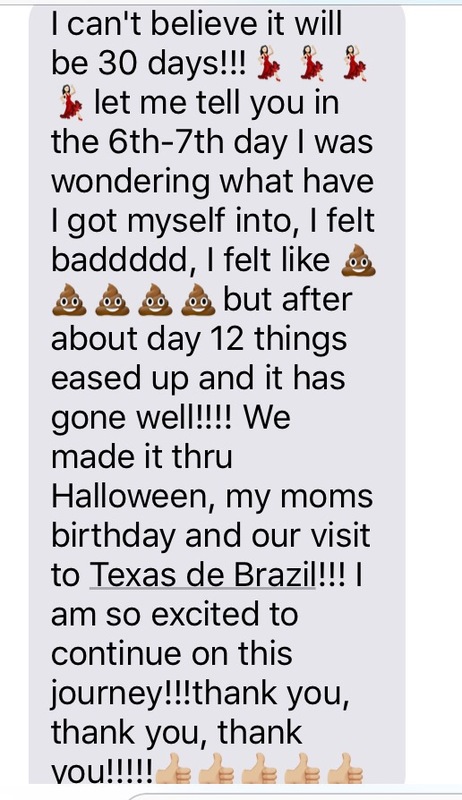 I just received this text. It’s why I do what I do. It’s why I constantly blog and gently nudge you this way. Because it’s true what everyone is constantly saying about #stkarmy. ‘Tis the season for all things fattening and tempting. Stuffing, cookies, cakes and pies. It’s typical that we go into this season, knowing that all of the special foods and treats will be in front of us almost constantly. And then we are faced with this. And feel like a stuffed turkey. What if I told you that I’m that somebody. What if I told you that you can not only get through the holidays like a pro, but come out ON TOP. That’s your face. I know it. One that could either save you or keep you on the track you’ve been working so diligently on. So what’s all involved, you ask. This is not for the weak. Okay, maybe you are slightly weak. Have you seen me hashtag #stkarmy. We are going through these last eight weeks of 2016 together. This is keeping me strong, you strong. Me accountable, you accountable. Me encouraged, you encouraged. Me inspired, you inspired. But holiday food tastes soooooooo good. Everything is centered around it. But if we aren’t careful, the price to pay can be quite large. After truly learning a whole new lifestyle two years ago, I absolutely love the feeling of being in control and the true feeling of good health. I feel great making healthy choices when it comes to food. And for the most part, I don’t have periods of regret. Except my black licorice story. Okay, that’s pretty small and I actually don’t regret it. And you have to come to your own conclusion on where to draw the line. For YOU. If you think you can go to Aunt Myrna’s and eat a small piece of pumpkin pie and a sugar cookie and stop there, God Bless you. 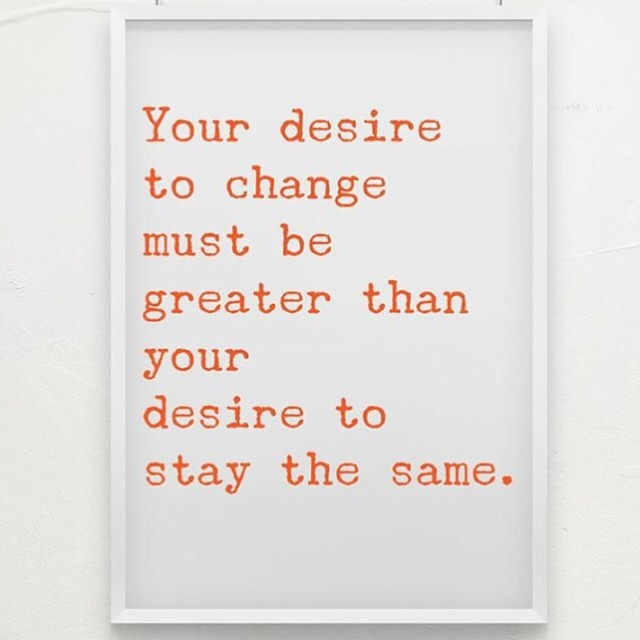 It typically triggers the cravings and habits that you’ve so desperately dug yourself out of. I see quotes like this often. 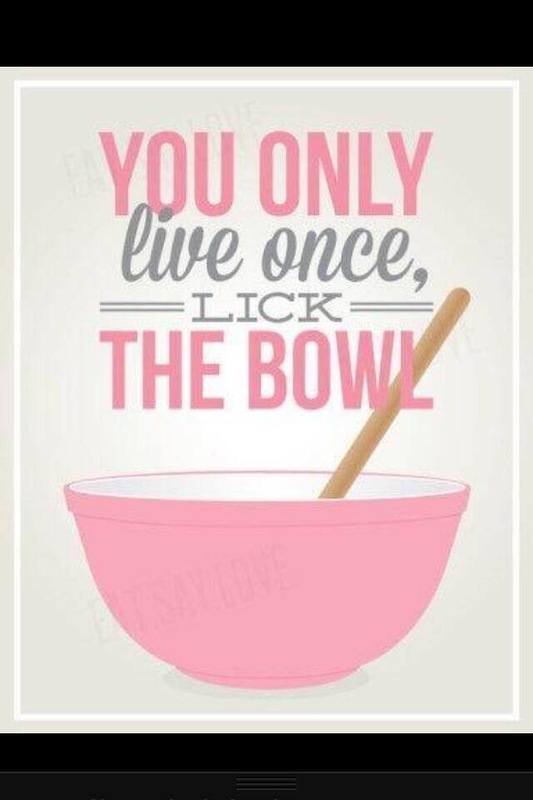 Will licking the bowl kill you? But it will leave you wanting more. Yes, we only live once here on earth. But at 48, I want to and am living the healthy life. I want to be a healthier me. I want to be a healthier wife, mother and grandma. I have learned so much on my own journey and as a health coach, I now equip people in a way that they feel free, for the most part, of the mindset that they were once trapped in. I talk to people all of the time. They want something to stick. 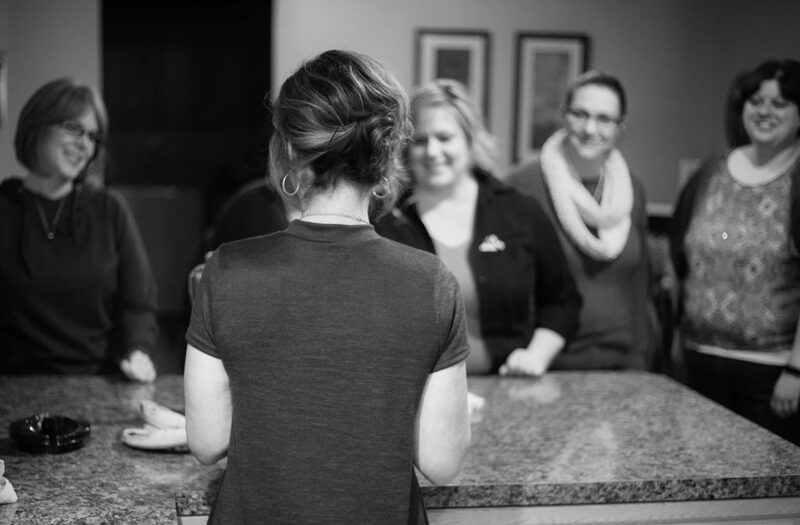 They want all of the positive changes that come with a truly saved kitchen. It takes work and discipline. I’m opening up my private group first thing Monday morning, 11/7. If you want daily encouragement, tips and guidance, join us. I believe that it will make all the difference in the world. And I believe that we will all come out ON TOP. There will be instructions on how to be a part of this private group that I’ve created and you’ll be prompted before requesting to join. I have learned that people take things a bit more serious when payment is required. I’ve offered a lot of free in my current STK group and it’s helped many people. And I love that I have been doing that for over a year and have made a difference in many kitchens because of it. I charge a fee to personally coach people one on one. I charge a fee for my workshops and support group. Because when you are required to pay a small investment, you take it more seriously. I’m giving this all that I’ve got, so I promise it will be worth it. At my introductory price of $5 per week…it’s a very small investment into what can be a truly wonderful experience, during one of the most difficult seasons, when it comes to this healthy lifestyle. On 11/9, my fee will change to $8 per week, for anyone new that joins. On a healthy diet as well as physical activity. I’m telling you, there’s potential to be stronger than where you are today. I’m told often that I make such a difference. It fuels my 🔥. I’m looking for serious people who want a serious year end challenge. I look forward to seeing you show up on Monday. Look for “STK Year End Challenge” on Facebook. Together, we will welcome in a healthier 2017, while many will be searching for a change on January 1.